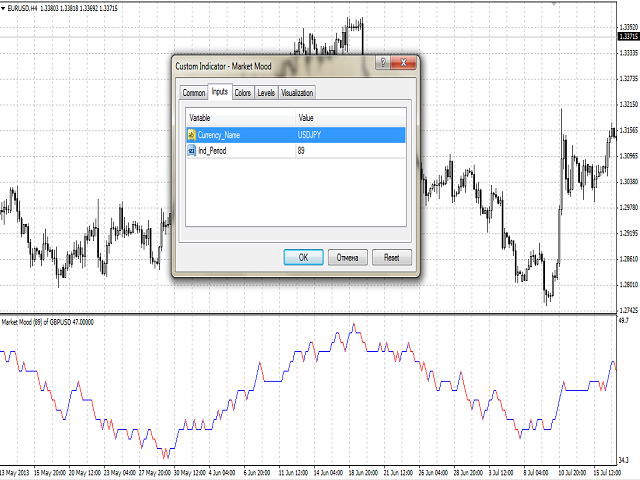 A colored multicurrency/multisymbol oscillator of the market mood. 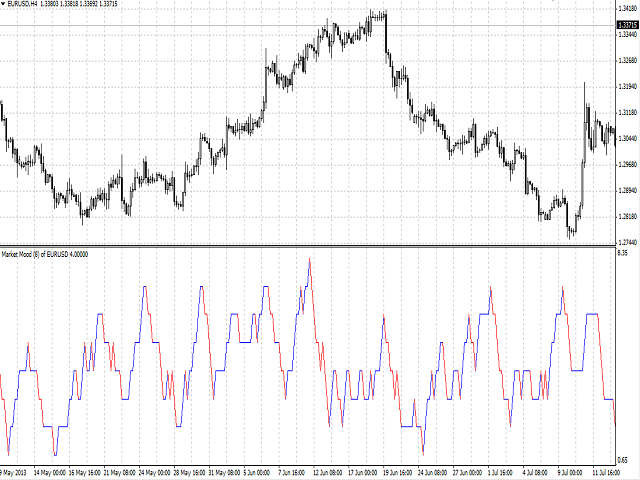 The oscillator is designed for detecting the continuation or change of the market mood prior to its occurrence. 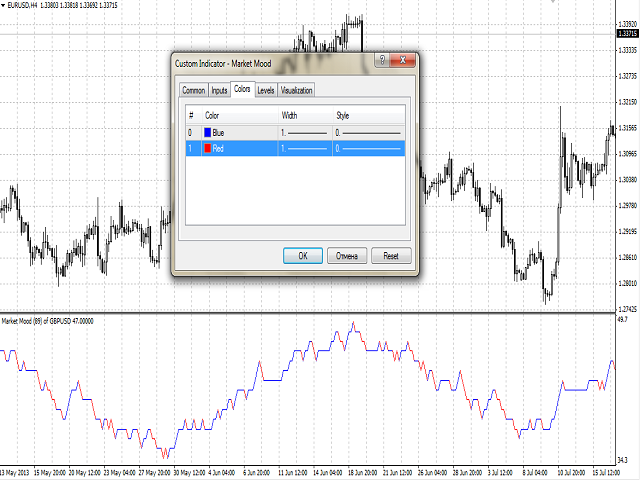 An excellent example is the screenshots that show all the features of the oscillator. The oscillator may be used with any broker, irrespective of the name of the financial instrument since it is necessary to manually enter the name as an input parameter. If you enter a non-existent or incorrect name of a financial instrument, you will receive an error message that this financial instrument is unknown (does not exist). The bullish and bearish mood can be colored. Ind_Period - oscillator calculation period. It is recommended to choose the period of oscillator calculation among the Fibonacci numbers: 8, 13, 21, 34, 55, 89 etc. The main line of the oscillator - buffer 2. 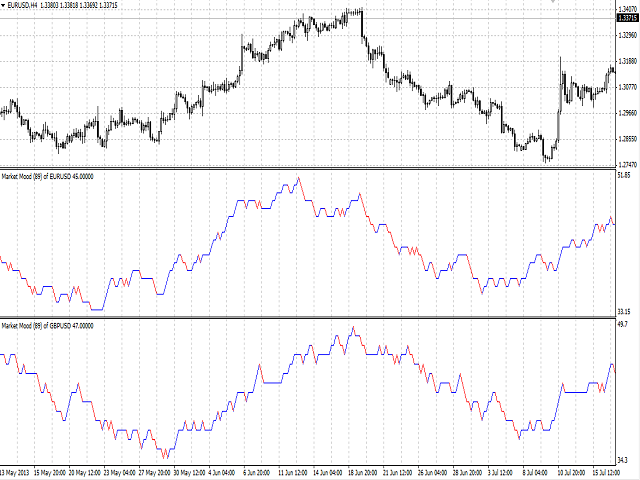 The bullish line of the oscillator - buffer 0, must not be equal to 0. 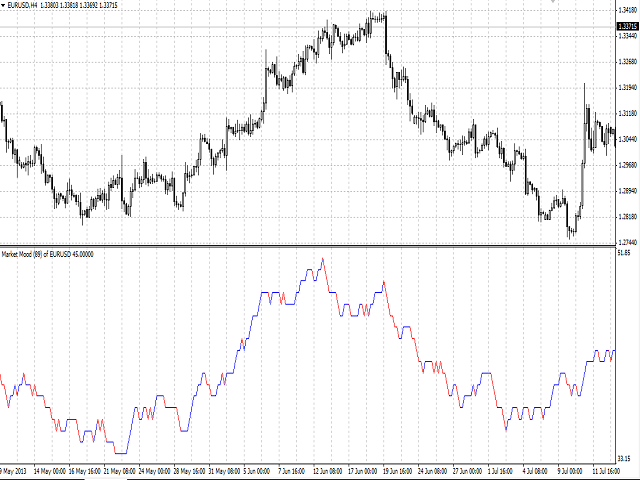 The bearish line of the oscillator - buffer 1, must not be equal to zero.